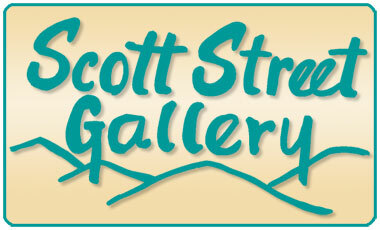 A visit to the Scott Street Gallery, studio of Shelia Sanford Holbo, will often find the artist at work – drawing, painting or carving in wood. The medium varies, but her inspiration is always found in the natural world of God’s creation. Artwork on display in the gallery features subjects such as florals, animals, birds, and beautiful mountain scenes. Shelia’s original paintings, as well as fine art prints, are beautifully displayed for sale, along with other fine art, gifts and more. ​are one of Shelia’s specialties.